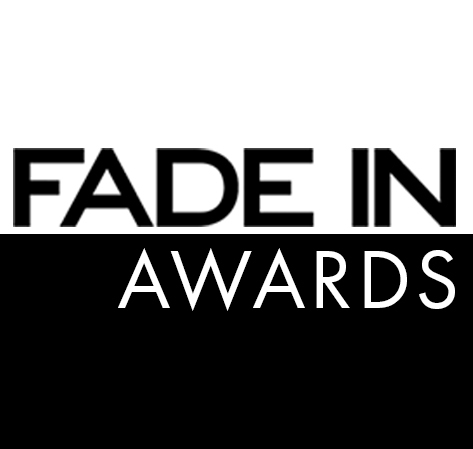 Visit the new Fade In Awards site, now in its 22nd year! The FADE IN AWARDS deliver industry recognition, career-making mentoring and unprecedented direct access to 100s of Hollywood buyers and reps. Established in 1996 by accredited filmmakers, the Fade In Awards have proven each year that when it comes to establishing emerging artists within the entertainment community, all it takes is a solid support network to begin your career as a working filmmaker. Fade In accepts screenplays, teleplays, short films and web series to compete in nine separate award categories this year – action, comedy, horror, sci-fi, thriller, true story/biopic, first ten pages, shorts and TV pilots – from writers and directors worldwide. Fade In then works with its finalists to bring their projects up to professional standards before making industry introductions. Hollywood's top agents, managers and producers have become accustomed to requesting Fade In's award-winning material. Executive Producer/Creator/Writer Jon Bokenkamp (The BlackList) calls his decision to enter the Fade In Awards, "The most important moment in my career." "When CBS Studios producer Todd Nelson encouraged me to submit, my inclination was to say, 'No.' I remember thinking there was no way I could afford it. But my script Preston Tylk won and got me an ICM agent. It was huge for me." Bokenkamp went on to work with Angelina Jolie and Halle Berry on Taking Lives and Perfect Stranger, respectively.